'Fugitive rabbi' who eluded Israeli authorities for years sentenced to 18 months in prison under plea bargain agreement. Rabbi Eliezer Berland, who fled Israel after allegations of sexual misconduct against female followers came to light in 2012, will serve 18 months in prison for sexual abuse. Berland, 79, is the founder of the Shuvu Banim yeshiva in the Old City of Jerusalem and was a prominent figure within the Breslov community. He managed to evade Israeli authorities until his capture in South Africa in late 2015. 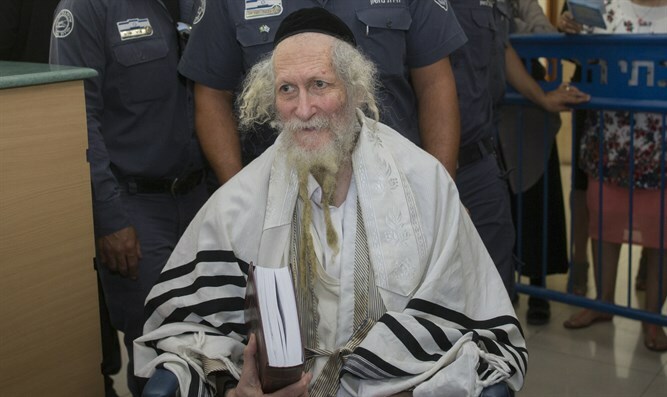 Rabbi Berland was finally returned to Israel in July, 2016. According to a plea bargain agreement signed on Thursday, Berland will plead guilty to two charges of sexual assault against two of his female followers, and will be sentenced to 18 months imprisonment. The nearly four months Berland has already served will be counted towards his jail term. While many of Rabbi Berland’s followers have decried the allegations as a witch-hunt and proclaimed his innocence, prominent Breslov leaders have condemned Berland, while his own son, Nahman, described him as a “criminal”.